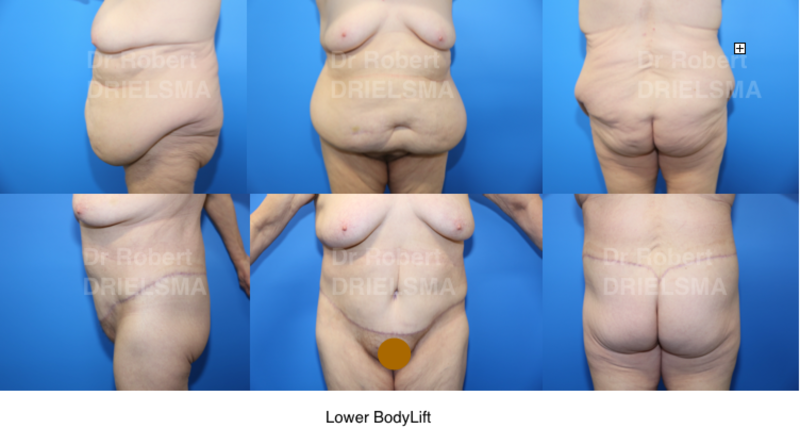 Below are some examples of Body Lift Before and After Photos by Sydney Plastic Surgeon Dr Robert Drielsma, one of Australia’s leading specialists in body contouring surgery. 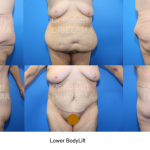 More examples of Body Lift Before and After Photos are available at our clinic. These can be viewed during your consultation as some previous patients prefer we show their before and after images in our clinic. Viewing before and after images allows you to make an informed decision about your plastic surgery options. Dr Robert Drielsma is one of Australia’s leading specialist plastic surgeons. He focuses on natural-look results that can help you balance your natural proportions. This includes complex plastic surgery procedures like bodylift surgery. Body lift surgery, or circumferential lipectomy, is an operation that removes excess flabby skin from the tummy, outer thighs, hips and buttocks. As a result, this procedure is sought following significant to massive weight loss to finish the body sculpting process. Bodylift can also, however, give dramatic aesthetic improvement in middle age even if massive weight loss has not occurred. this procedure not only removes excess skin but it can also deal with small areas of stubborn fat that diet and exercise cannot remove. Every man and woman has a unique body shape and overall body proportions. As a result, Dr Drielsma is highly experienced in working with any number of body types to create natural look results. During your consultation, Dr Drielsma will discuss your desires and options, ensuring you are informed on your achievable options.